My families love for spicy food runs deep, in all ethnic foods. After we tried some delicious Vietnamese food at a Food Truck festival we fell in love with lemongrass and the flavor is gives. So I've been dying to try my own recipe. I also discovered how much I love sriracha sauce, which is sad that it took me this long to finally try it. 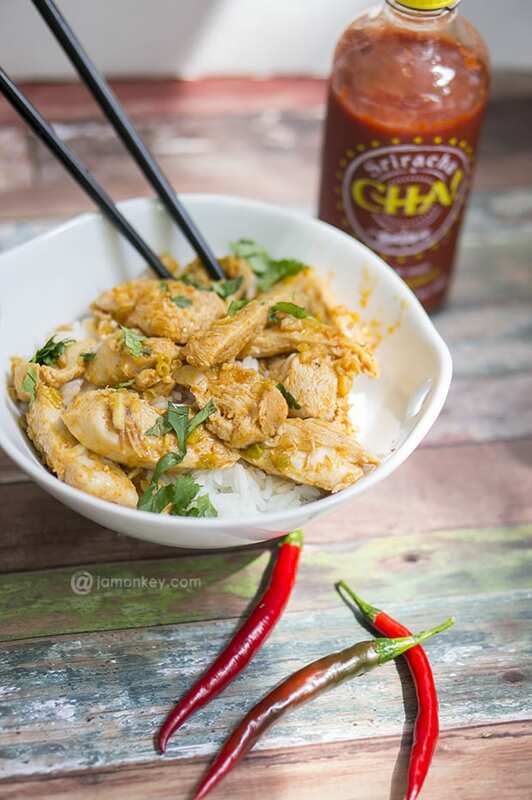 So this spicy sriracha lemongrass chicken is the perfect mix of both. After a long search for lemongrass I finally ended up at my local Harry's Farmers Market to get my hands on it. 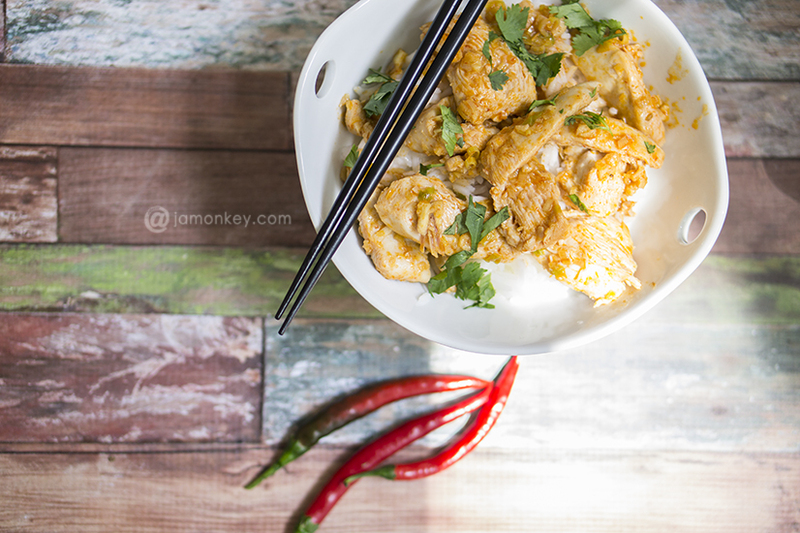 Here is what you will need for the spicy srircha lemongrass chicken recipe. Chicken, fish sauce, Texas Pete CHA! 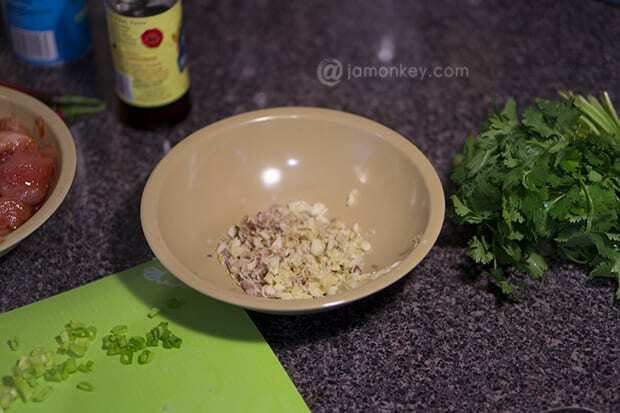 sauce, lemongrass, sea salt, sugar, garlic, shallots, cooking oil, jasmine rice and cilantro. 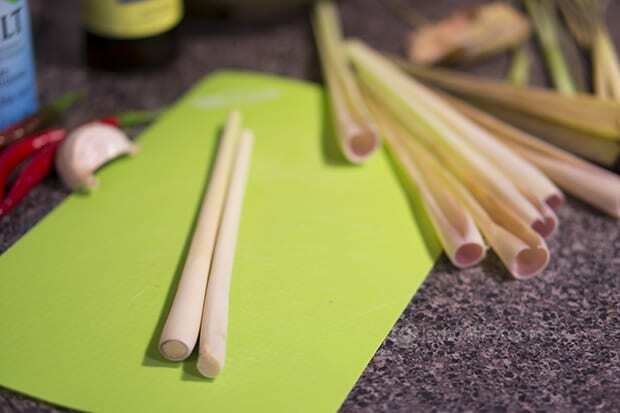 First start by cutting the ends off of the lemongrass near the bottom and just before the green part. Then peel the outer layers off like an onion or a piece of garlic until you get to the center white piece. To release the flavors and soften it up you need to mash it really well before slicing it. 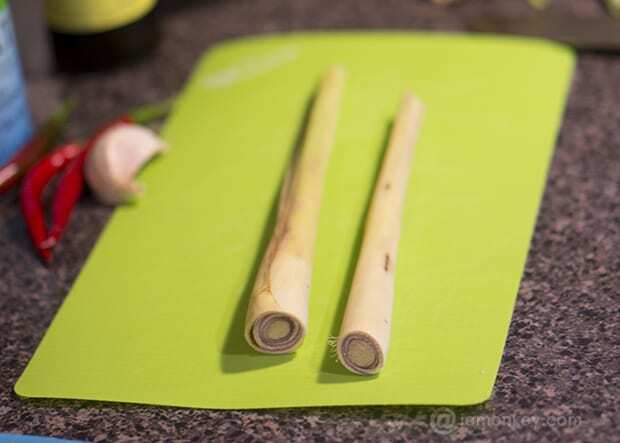 So use a rolling pin or a meat tenderizer to crush it. 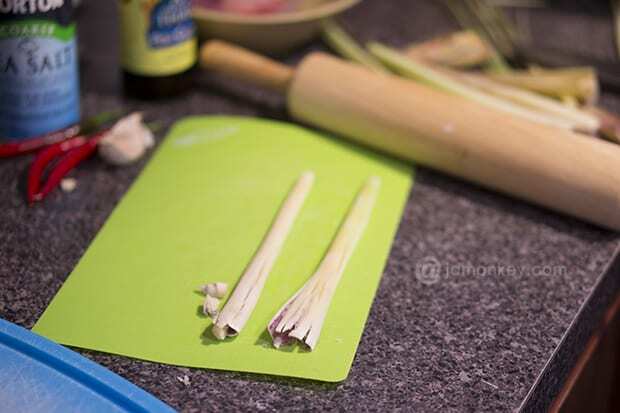 Dice up the lemongrass. It is pretty tough so make sure you have a sharp knife. 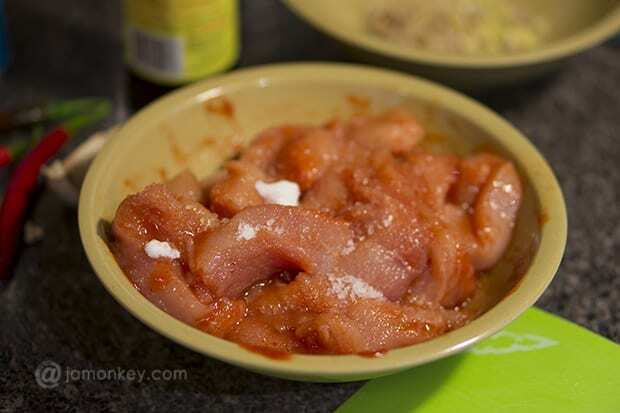 Marinate the sliced chicken with the fish sauce and the Texas Pete Hot Sauce. Add sugar and sea salt to the chicken and mix so that it coats all of the chicken. 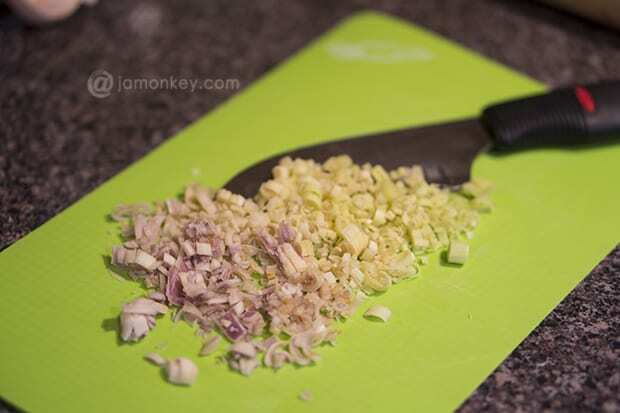 Dice the garlic, and shallots into a bowl. Take a few sprigs of cilantro and loose chop and set them aside to add after cooking. 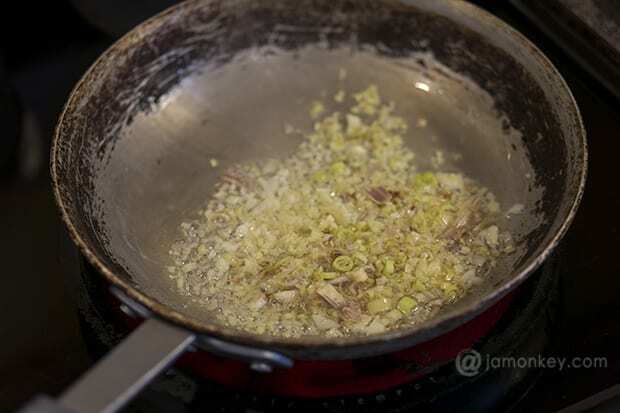 Heat the oil and then add the lemongrass and garlic to release the flavors. You only need to do this for 1 minute. 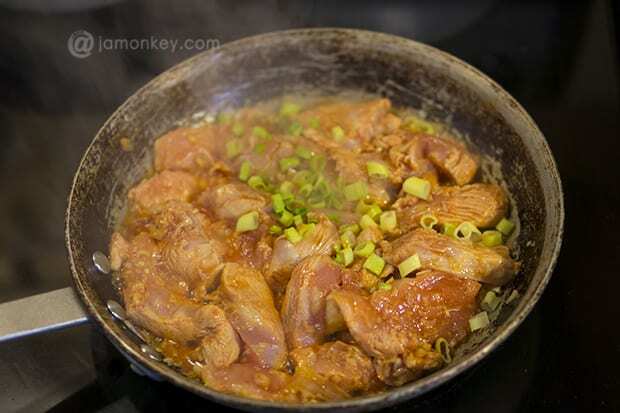 Place the chicken and the shallots into the pan and finish cooking. 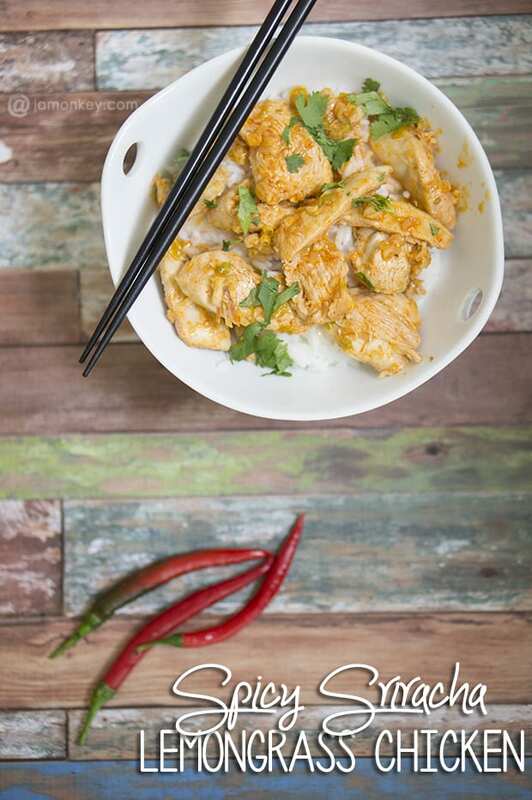 Serve the chicken over jasmine rice. 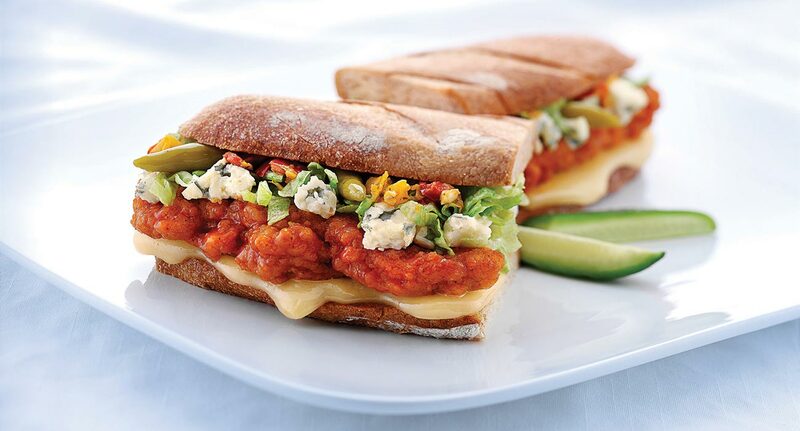 I think for my next Texas Pete Hot Sauce recipes I'm going to make this amazing Buffalo Bill Chicken sandwich from the Grilled Cheese Academy. You can find Texas Pete Hot Sauce at all major grocery stores. There are lots of Texas Pete products to choose from. The CHA! sauce is my new favorite. 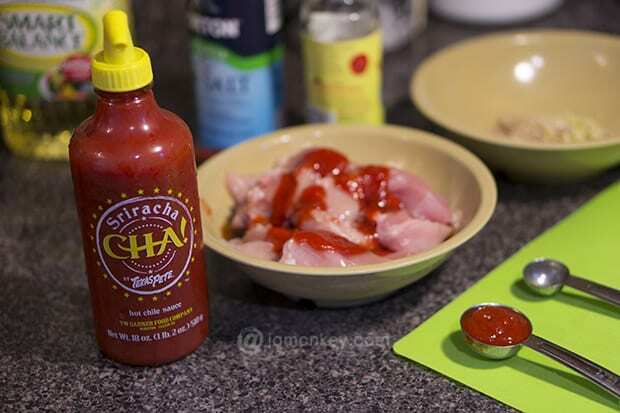 We've been putting this stuff on everything and now I'm looking at all the sriracha recipes that I can make.